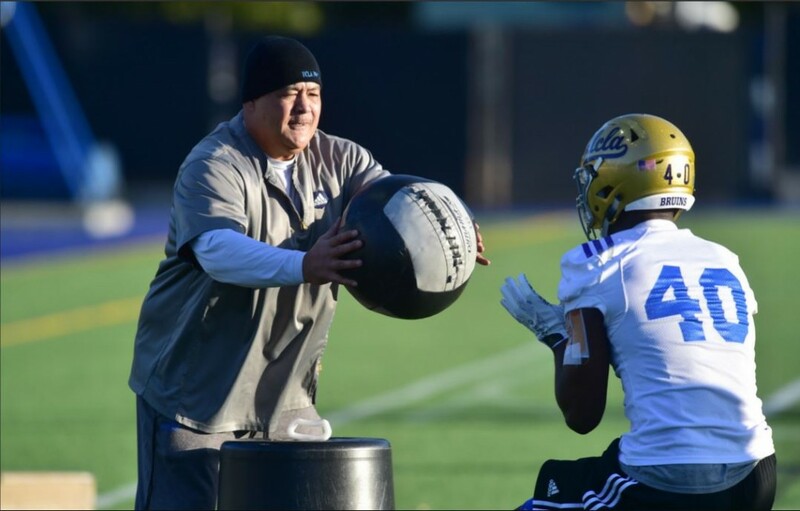 Former UCLA offensive coordinator Kennedy Polamalu jumped back to the NFL coaching ranks Friday, as he officially joined the Minnesota Vikings coaching staff as the running backs coach, the team announced. 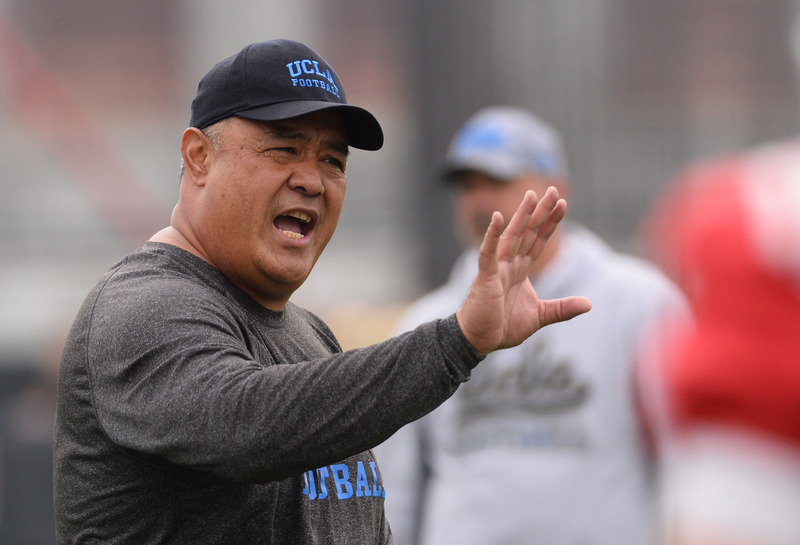 Polamalu was fired after one year as UCLA’s offensive coordinator last season when the Bruins went 4-8. He was replaced by Jedd Fisch earlier this month. Polamalu last coached in the NFL with the Jacksonville Jaguars from 2005-09. The 53-year-old coach is one of several Vikings with UCLA ties as former Bruin linebackers Anthony Barr and Eric Kendricks also play in Minnesota. Polamalu expanded on his thoughts on his failed year as UCLA’s offensive coordinator in an open letter to fans that he released Monday through Bruin Report Online. After one of the worst offensive seasons in recent school history, UCLA did not renew Polamalu’s one-year, $380,000 contract, which is set to expire on June 30, 2017. In his written statement, Polamalu expressed gratitude for the opportunity to coach at UCLA, and took responsibility for the offensive struggles in a year of flux on that side of the ball. Offensive coordinator Kennedy Polamalu talks about why the offense struggled so much this season, the importance of physicality and how he thinks he did in his first year calling plays. Defensive coordinator Tom Bradley talks about what went wrong for the Bruins against Cal and what the loss to Fabian Moreau meant to the secondary. Offensive coordinator Kennedy Polamalu talks about the change in offensive philosophy this season and facing Cal’s awful rushing defense. Defensive coordinator Tom Bradley talks about what makes Cal quarterback Davis Webb special and similarities between Cal and Washington State’s offenses. Offensive coordinator Kennedy Polamalu talks about the loss to USC, the trouble converting on third downs and what happened to the running game. Defensive coordinator Tom Bradley talks about UCLA’s loss to USC and the challenges of facing Sam Darnold.